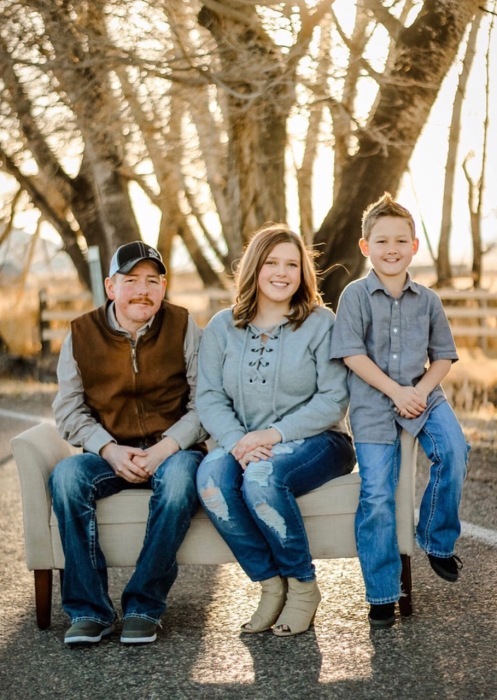 Kaden S. Jacobsen, 40, passed away at his home in Salina on September 5, 2018. He was born January 26, 1978 in Richfield to Sheldon K. and LuGene Nebeker Jacobsen. He married Stephanie Sorensen, February 6, 1999, in Mesquite, Nevada, they later divorced. He loved classic country music and old westerns. He enjoyed being in the hills hunting and fishing. He worked as a plumber for 17 years. He loved his kids and would do anything for them. He was loved as an uncle and enjoyed being with his extended family. He is survived by his mother, LuGene of Salina; children: Kalista and Kyle Jacobsen, both of Redmond; siblings: Lori (Clyde) Coates of Gunnison, Landon (Jennifer) Jacobsen of Redmond, Kamis (Dan) Mullen of Salina, Stefanie (Rayne) Bagley of Greenwich, Lee (Julie) Jacobsen and Ray (Melissa) Jacobsen, both of Texas. Cremation services have taken place. The family will announce a celebration of life service at a later time.